Playfish’s Country Story sees players digging up pots of land, planting seeds and watering them as well as gaining money through harvesting your virtual crops. Gamers take control of teenage farmhands that can be changed and customised to the user’s preference. Playfish created new game, Country Story again after we busy play the popular games, Pet Society and Restaurant City. The Country Story turned out to be surprisingly refreshing for the people can enjoy to farming and take care of the animals. Then, you can choose which is one of your favorite view of places. Then you will get a house and empty farm, so you can decorate what you like to buy the flowers, fences and others from the shops. 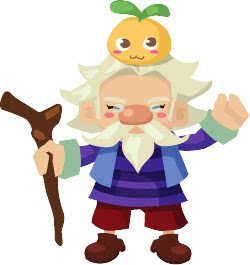 The Mayor is the first of the villagers you’ll meet and he’s happy to help you about how to tend your crops and prepare for your first harvest. And with your friends’ homes nearby you’re never far from someone who can lend a hand. Or perhaps you’re more interested in keeping animals – maybe you can tend cows for their milk, sheep for their wool, or chickens for their delicious eggs! Country Story only allows you to interact with your friends playing the game, mean you can water their plants, clean up their place, and even care for their animals when you visit your friends' farm. You can visit a marketplace to buy the seeds, animals, bank and etc.. But, it is boring when farming and take care of animals on every day? That is why they created some quests that you can get rewards. When you do a quest, you will do something through learning session like it is watering the crops dry and collect the building materials. Until your quest is complete, you will earn some money, rewards, and experience towards leveling up. I also surprised when I use steal icon to steal some from my friends' farm but you have to be careful with a dog because your friend's dog can bit you to make you lost -50 coin! How about this game? :D It make me miss the Harvest Moon but, I prefer Harvest Moon than this game :P Try to play the application game on Facebook, Country Story!